It has been a while since I wrote an original post on this blog, so I thought over the next few months I’d try to make up for lost time by previewing some of the concepts from my new book The Ad-Free Brand: Secrets to Successful Brand Positioning in a Digital World, due out in August. If you like what you see, let me know. If not, well, I still have some time to make edits, so let me know that as well. But be gentle. One of the key concepts in the book is that ad-free brands are brands built from the inside out. But what exactly does this mean? 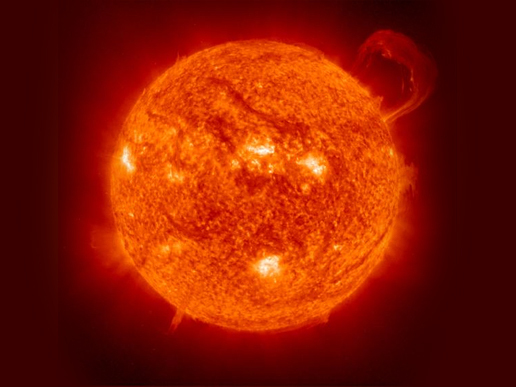 Imagine for a second that a brand is a powerful star at the center of a solar system, maybe one like our Sun. For me, brand positioning is an attempt to describe the gravitational pull at the very center of that star. Great brand positioning creates gravity that pulls people closer to the heart of the brand. As people move closer, the brand releases energy, in much the same way a star sends out heat and light. So when beginning to roll out new brand positioning, one way to think of your work is as an attempt to mimic thermonuclear fusion within a star. No small feat, huh? We want to pull people closer to the center of the brand using the brand positioning as a gravitational force. Then, just like with atoms in a star, once the core group of people at the center of the brand is sufficiently dense, a reaction occurs, resulting in a continuous stream of brand energy released over time. 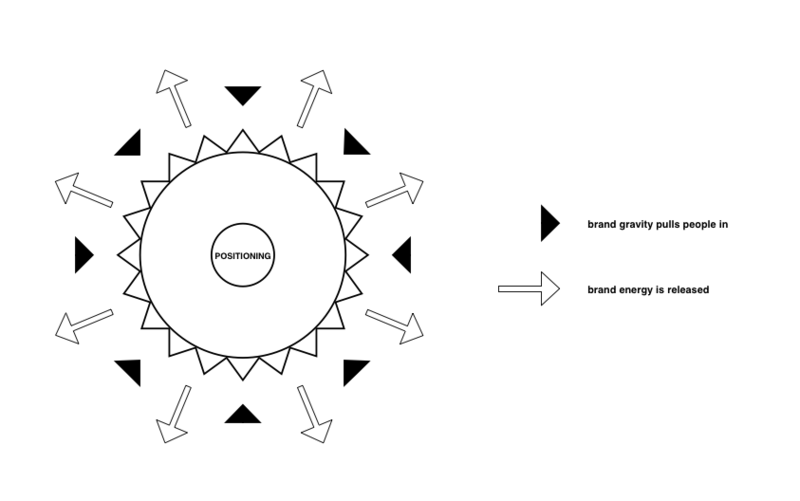 The denser you can make the core near the center of the brand, the more energy is released. At some point, if enough people begin to deeply understand and live the brand in their daily work, magic happens. Aligning a core, closely aligned group of people around the brand positioning is the only way to set off this particular reaction. And there is no better place to start rolling out your positioning than with those people who already work for your organization and have a vested interest in its success. Building a brand from the inside out means building the brand by creating energy with the community of the people closest to the brand—those who work for the organization—and using the gravitation force this group creates to pull even more people close to the center of the brand. « How do you sell a community-based brand strategy to your executive team? Chris, your analogy is a good one. I think a lot of it boils down to whether a company is more interested in serving, or more interested in making a sale. If you’re motivated by service, you’ll solve the really hard problems your customers have — you won’t be a commodity. That’s the core of positioning: Either you’re going to be truly different (sales and marketing become magically easier) or — you’re going to be like everyone else, depend on nuances of branding, fight competition on price and struggle over small percentages of market share. Unless you work for Coca-Cola — that’s no way to live! do you have one on nuclear fusion as well? that’d be awesome!